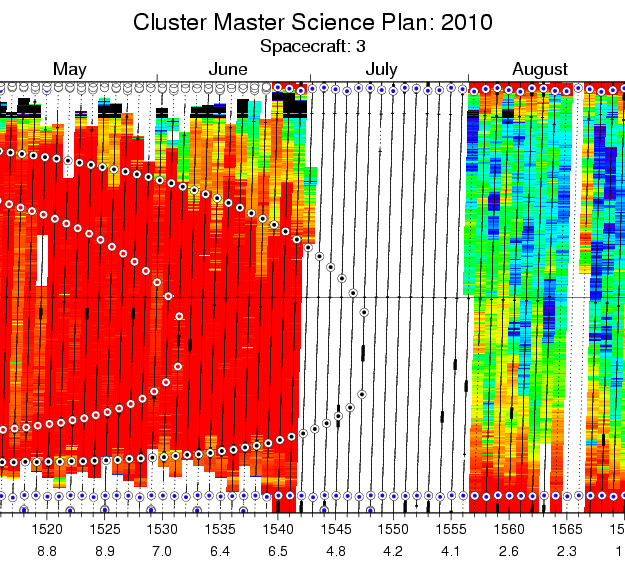 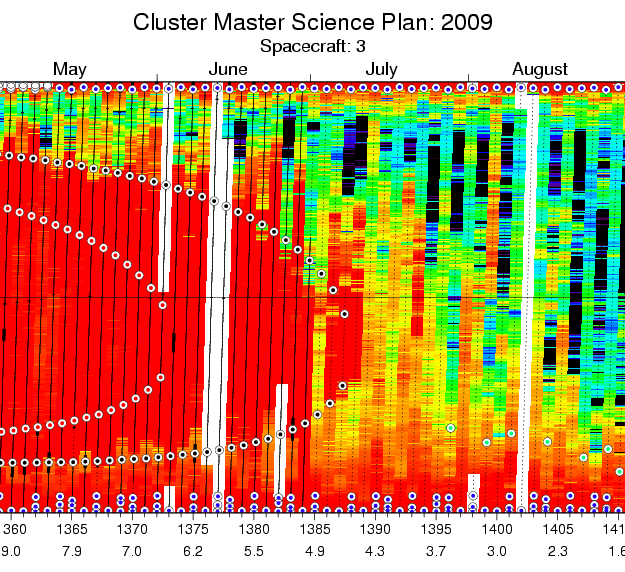 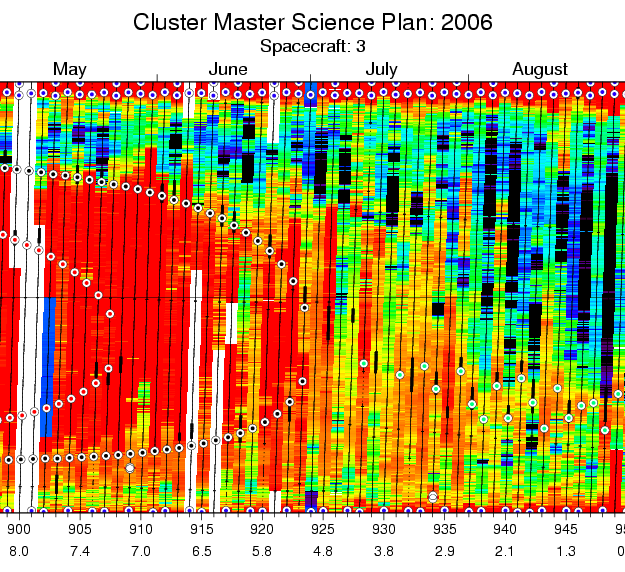 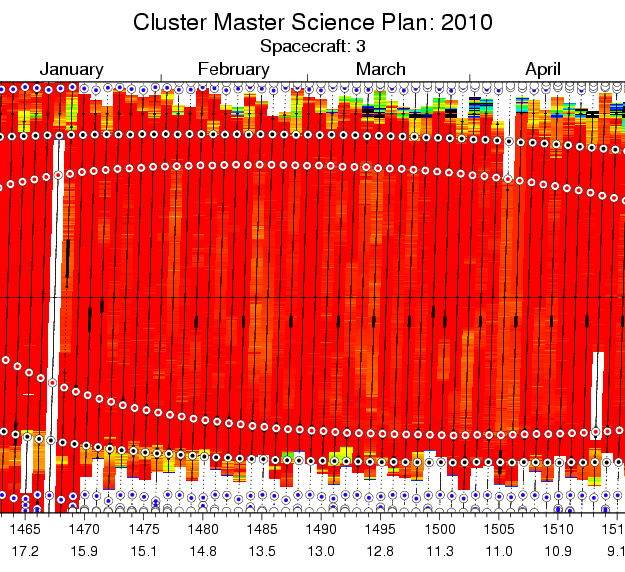 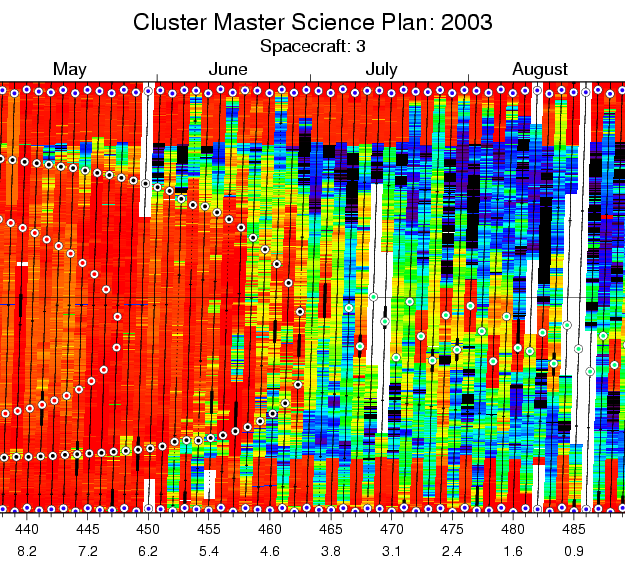 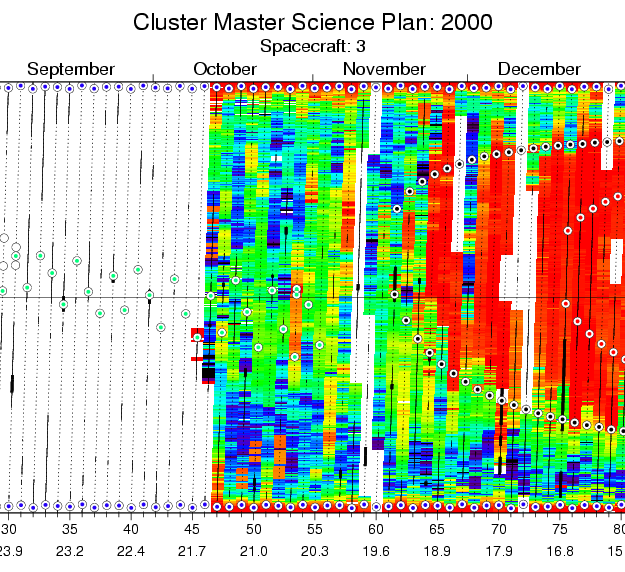 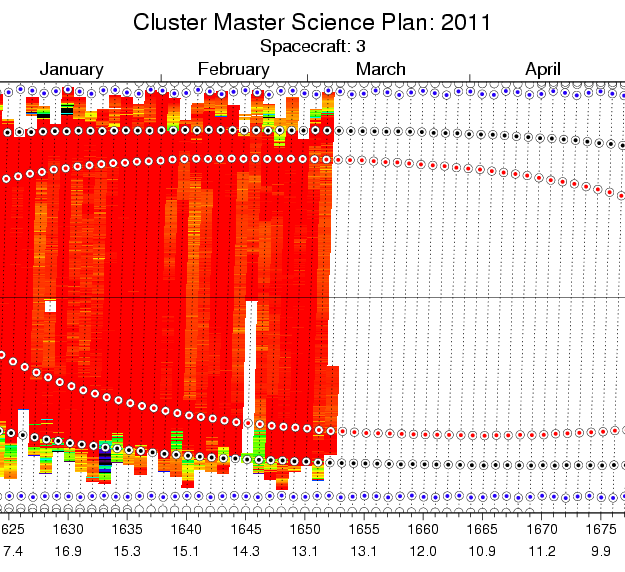 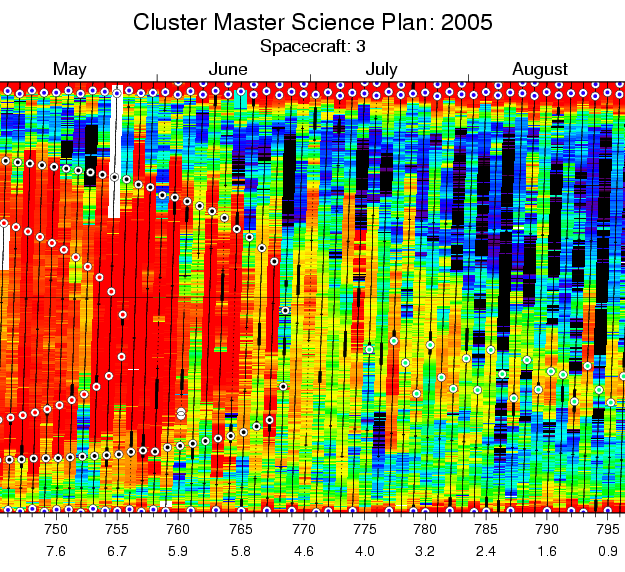 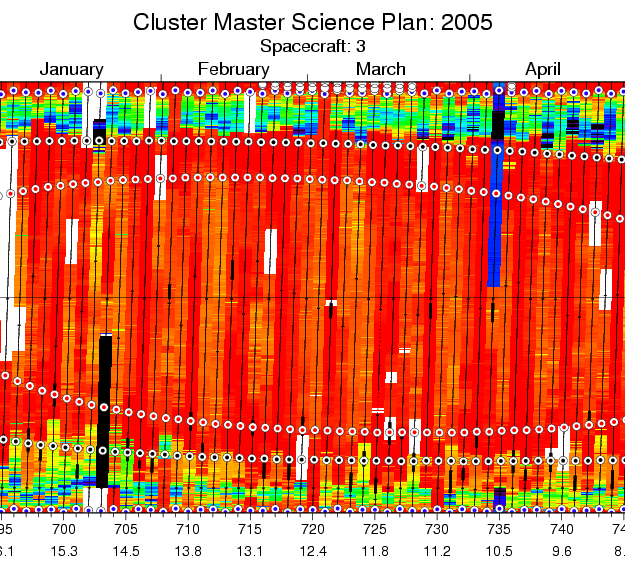 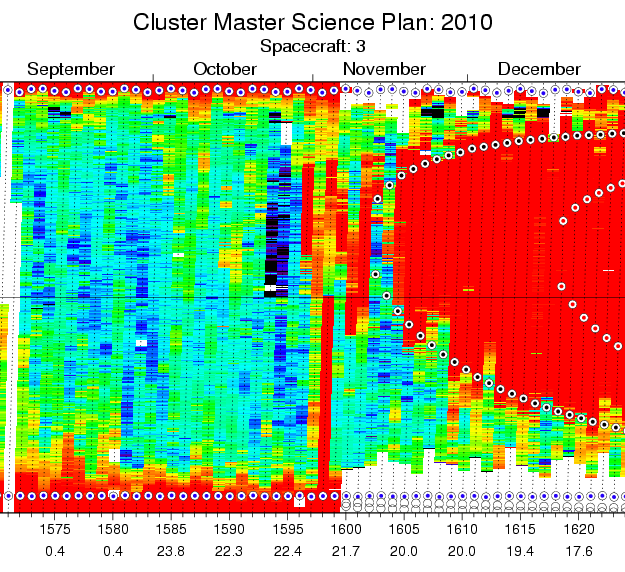 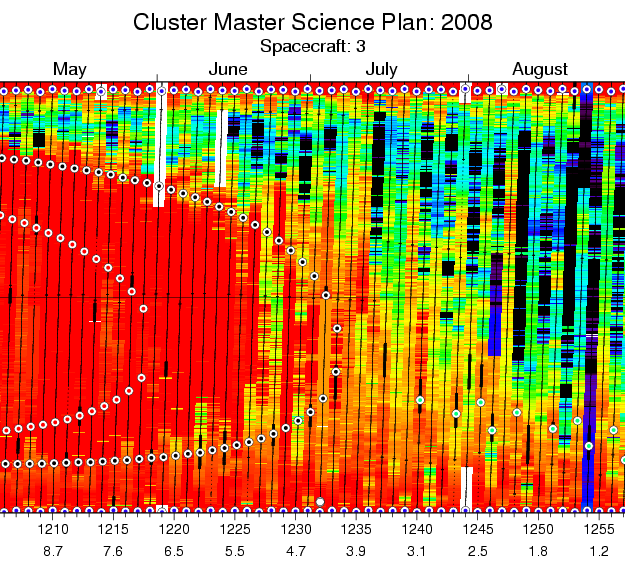 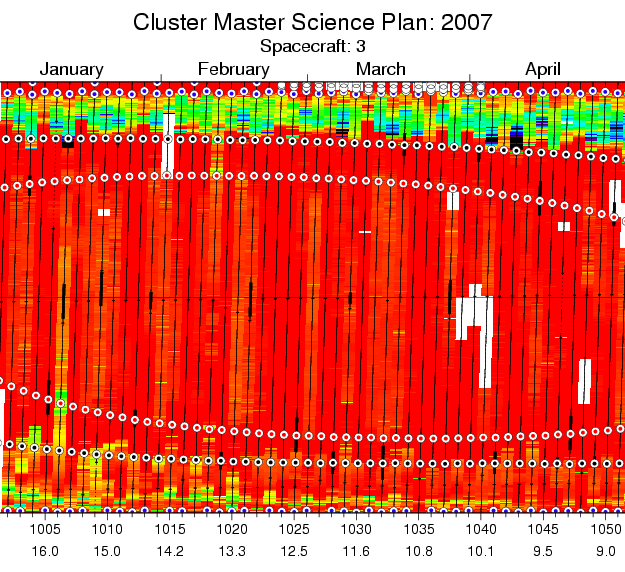 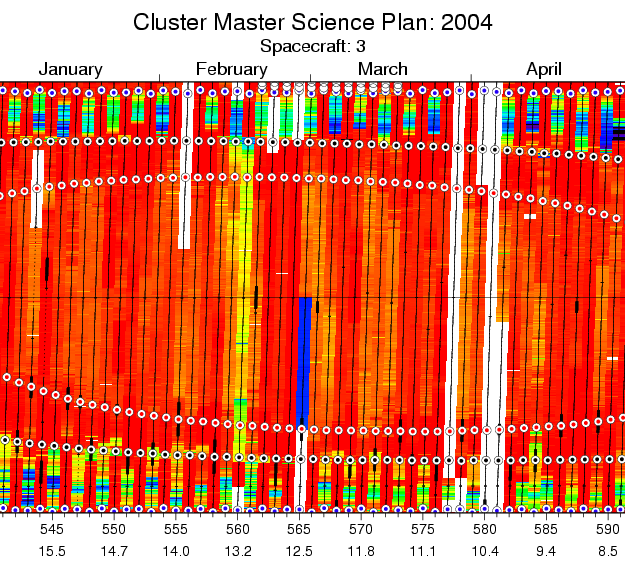 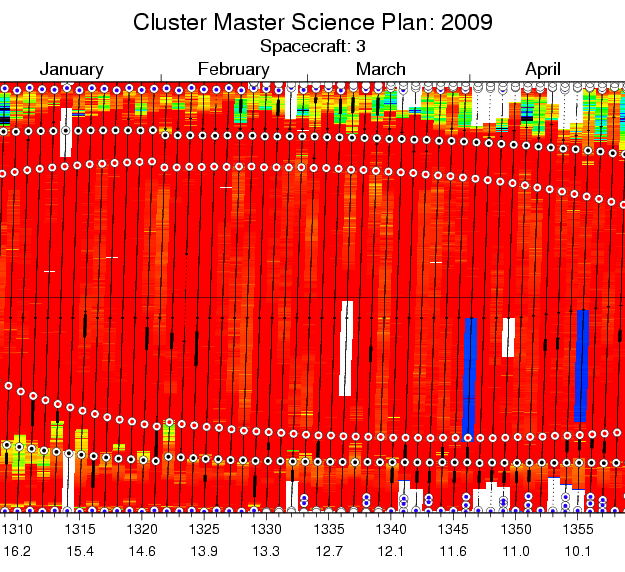 Use the MSP to quickly browse through the mission overview plots. 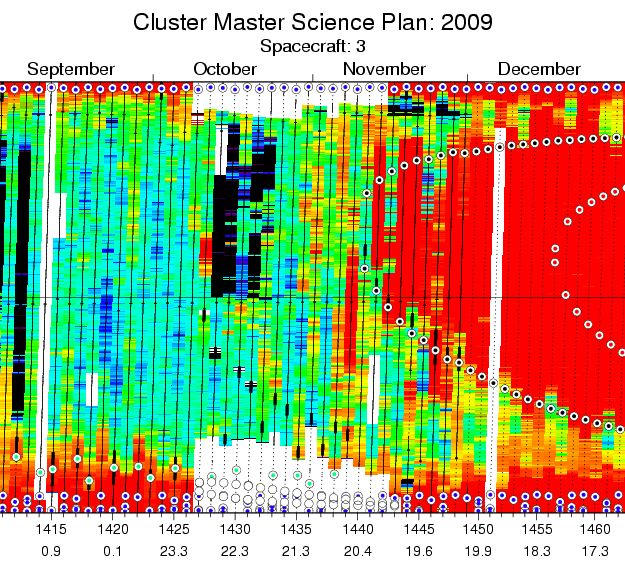 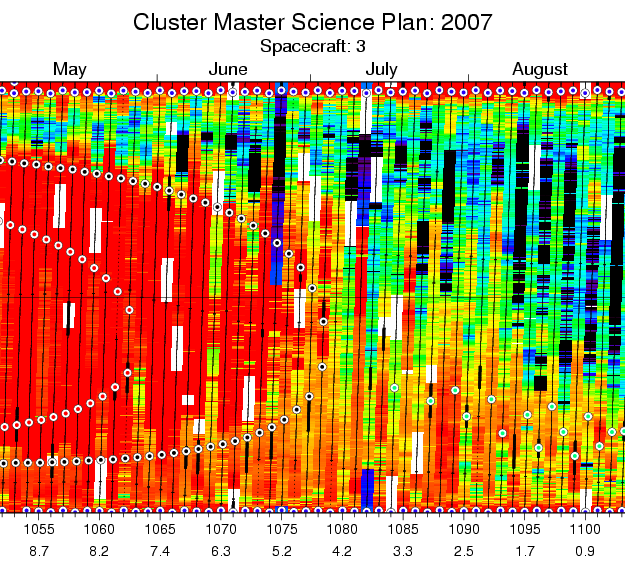 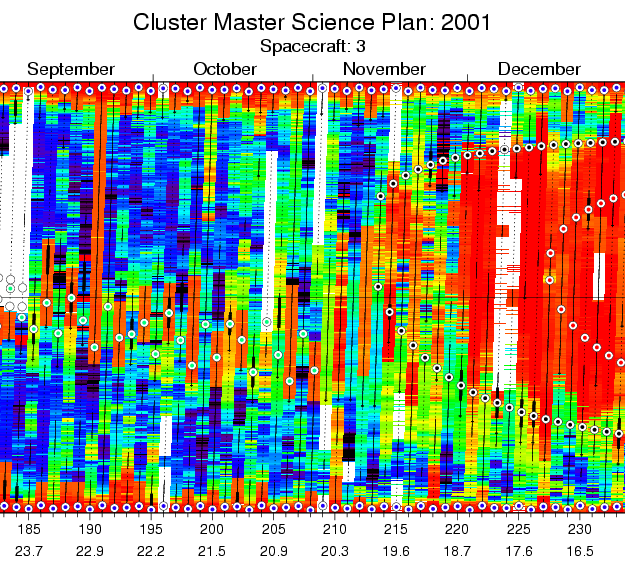 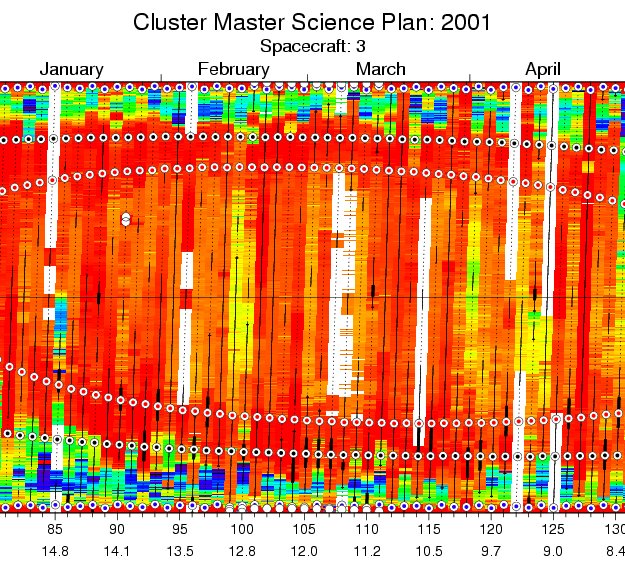 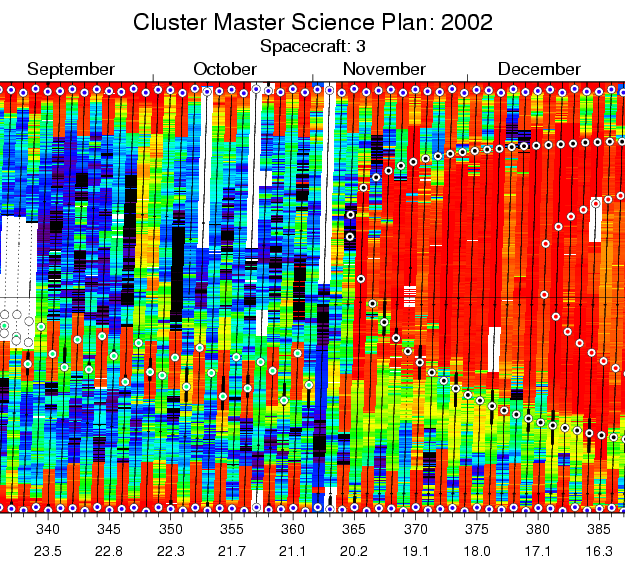 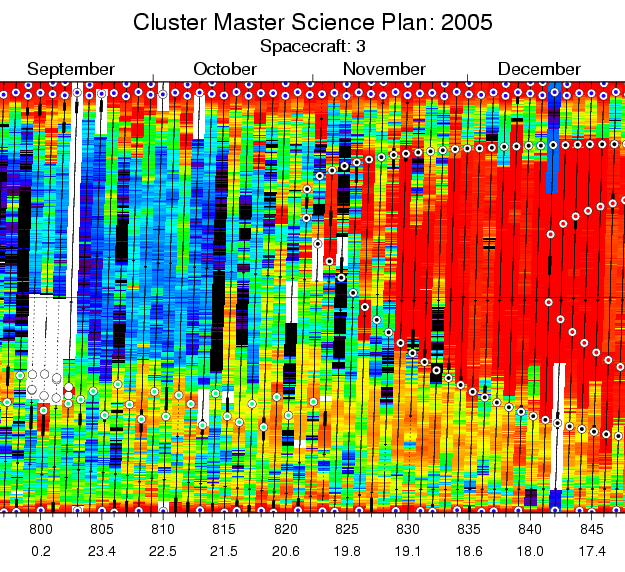 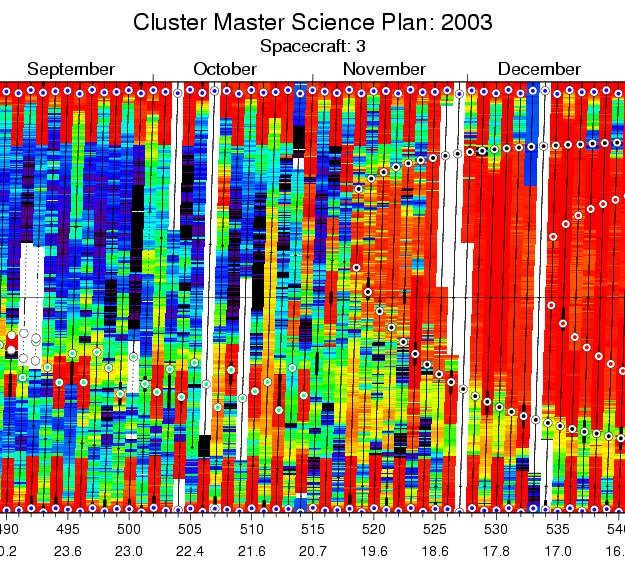 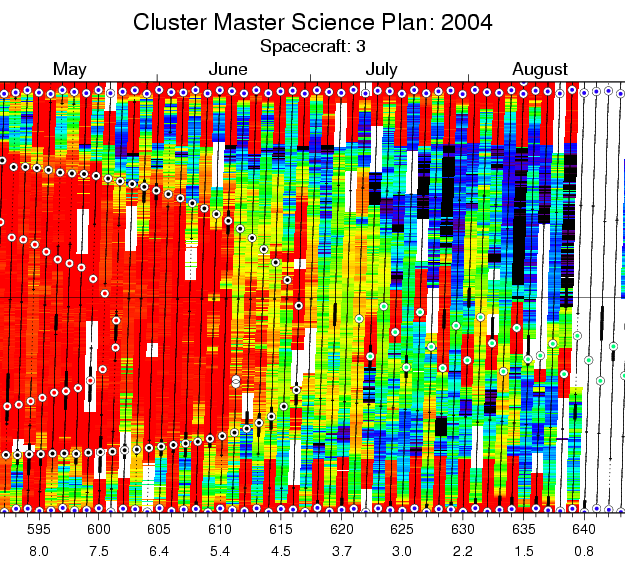 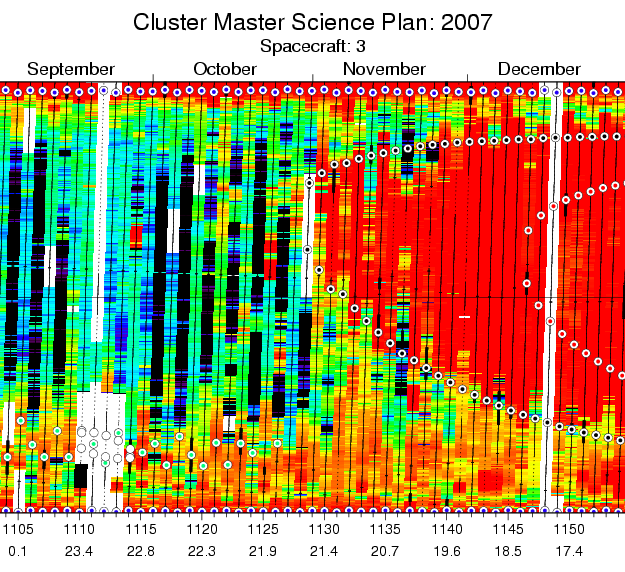 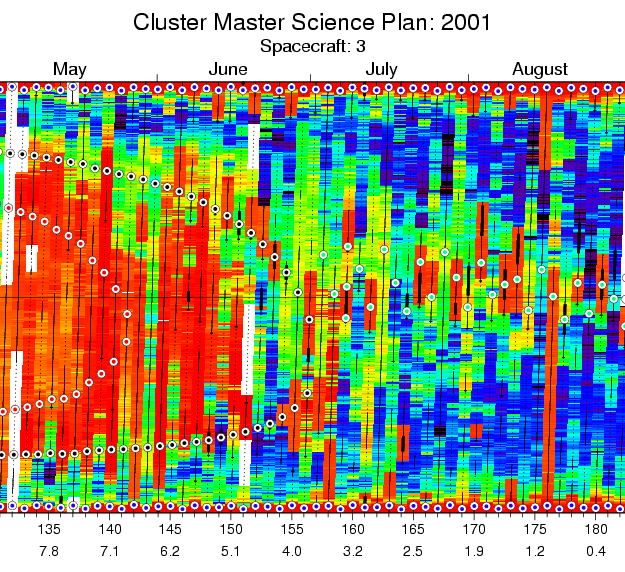 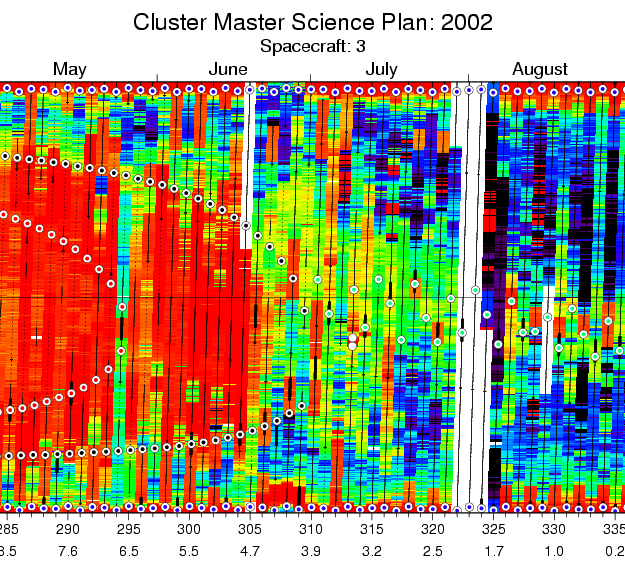 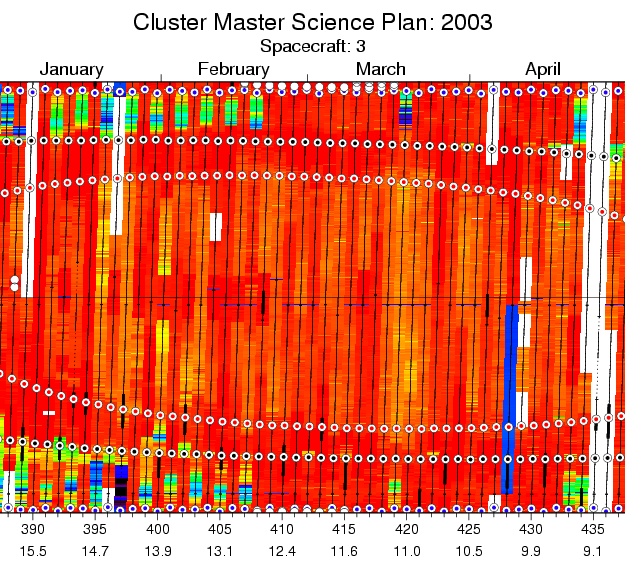 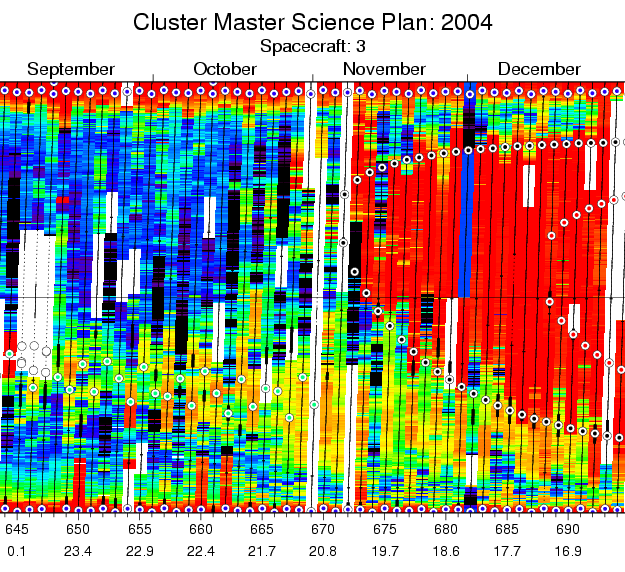 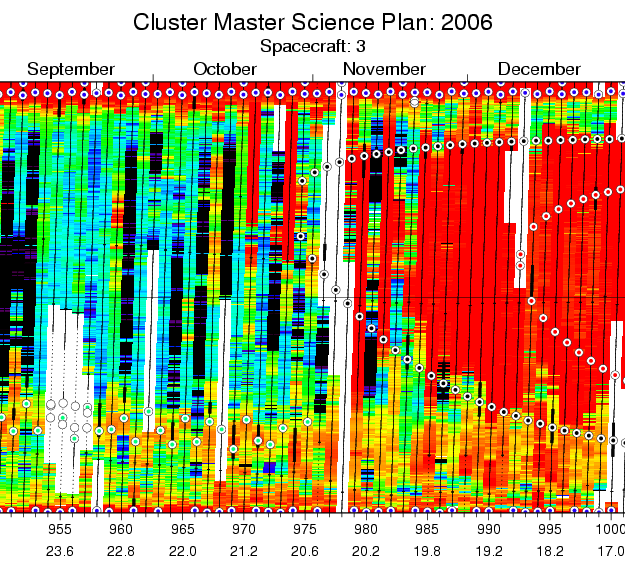 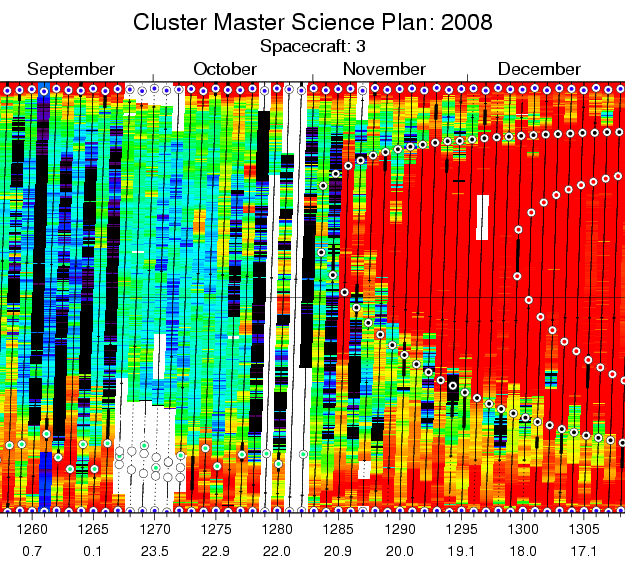 Several MSP plot styles are provided to aid identification of different regions of interest. 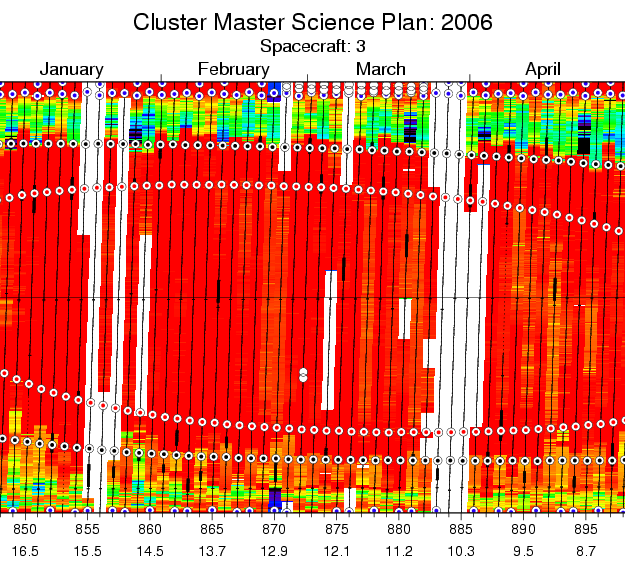 Clicking on the plot will bring up the corresponding CSDSweb quicklook plot in a separate window. 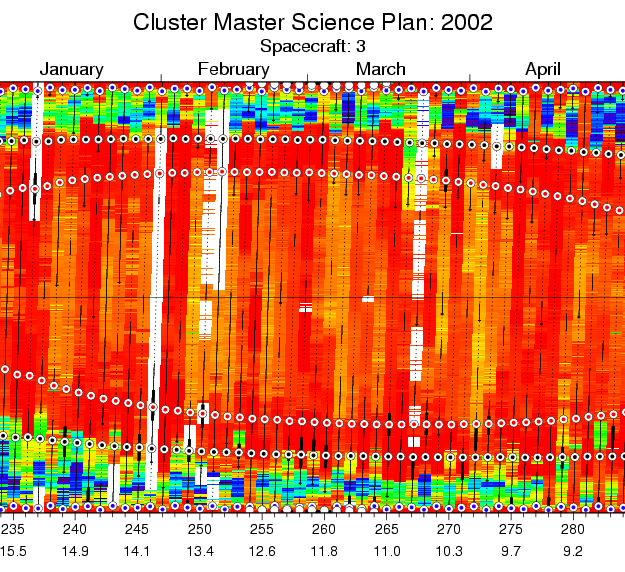 Click < > to move back/forward by four month interval, hover over |< or >| to jog back/forward by a few days, click on |< or >| to goto start/end of the mission. 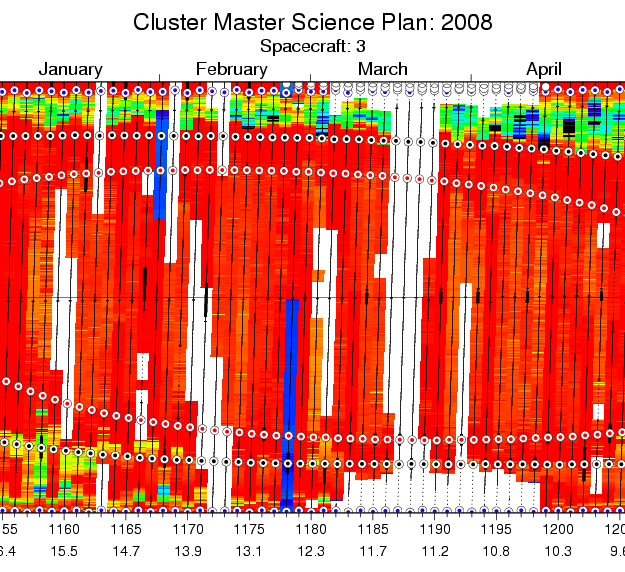 Alternatively you can select individual plots.